Hi Blogger friends, I have missed reading all the blogs. I’ve been away on my first ocean cruise for a couple of weeks around the South Pacific. 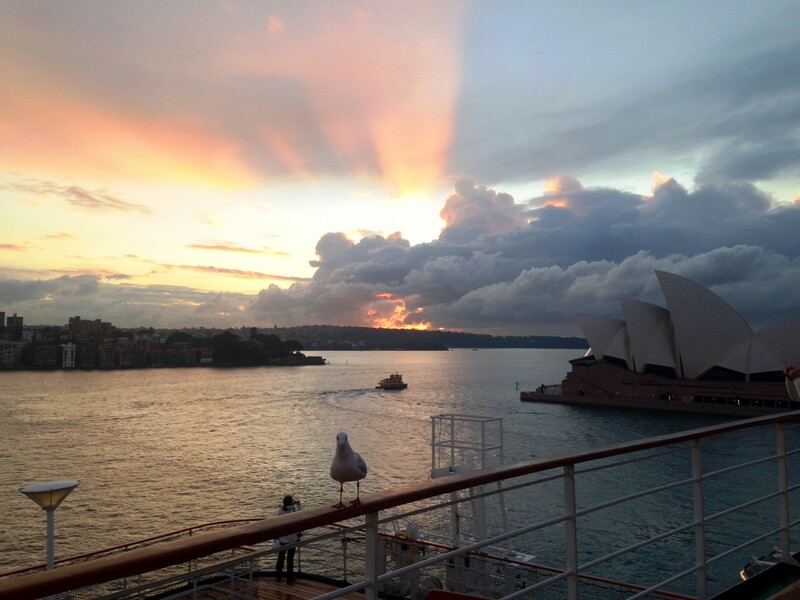 I loved every minute, but nothing compares to coming home to Sydney Harbour at 6am. I took this from the Ship’s deck with my iPhone. I envy you your travel time!